The Dromedary camel is a large even-toed ungulate. 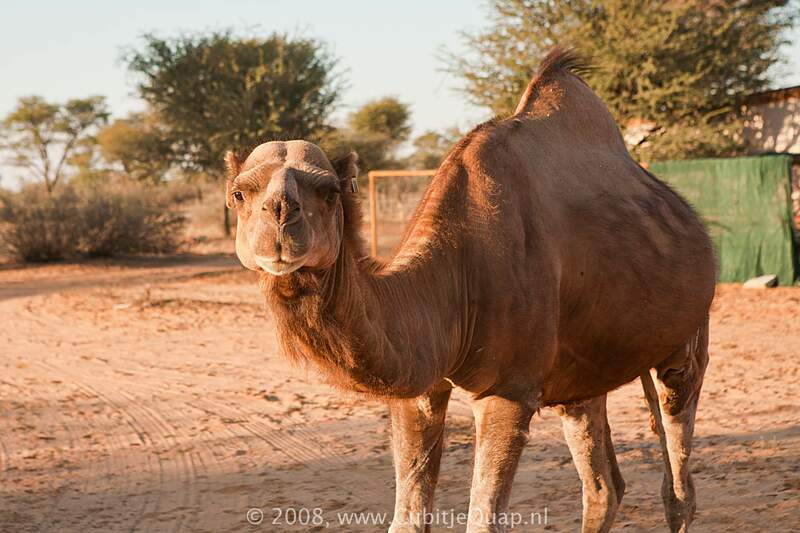 It is often referred to as the one-humped camel, Arabian camel, or simply as the "dromedary". Male dromedaries have a soft palate, which they inflate to produce a deep pink sack, which is often mistaken for a tongue, called a doula in Arabic, hanging out of the sides of their mouth to attract females during the mating season. Dromedaries are also noted for their thick eyelashes and small, hairy ears. Its native range is unclear, but it was probably the Arabian Peninsula. The domesticated form occurs widely in northern Africa and the Middle East.